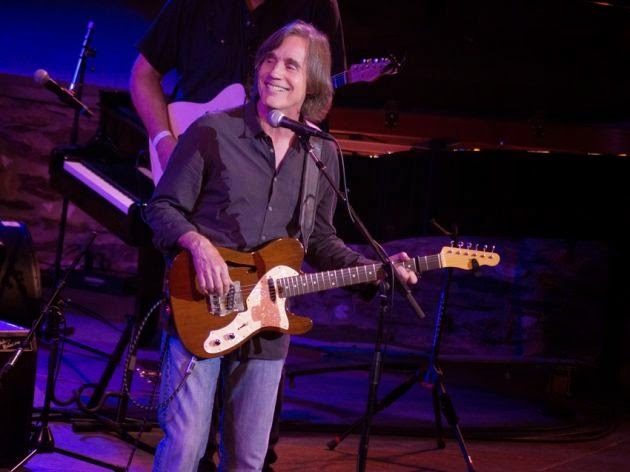 For the world you wish to see ..."
I've been a big fan of Jackson Browne going way back. 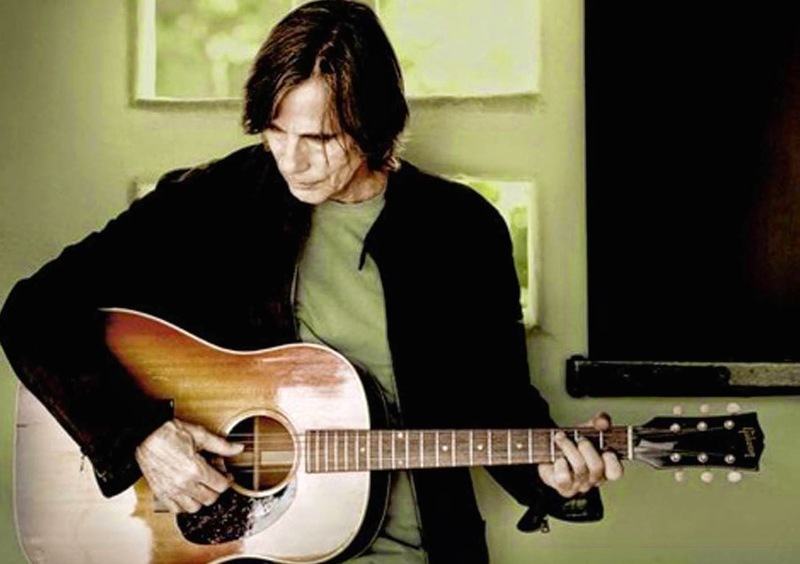 His first album, Jackson Browne, was released by Asylum Records back in January, 1972. I listened to it constantly at home; and it got played a lot at get-togethers and parties. Later that year I was lucky to see him play live at The Riverboat Coffeehouse in Toronto. Accompanying him that night was David Lindley (guitar and fiddle). Lindley would become a long-time collaborator of Browne's. I saw Browne recently, too, playing solo at Hamilton Place. One highlight of that show was the sight of the hand-made, wooden rack set up just behind him - cradling seventeen different acoustic guitars (he played five of them during that concert). 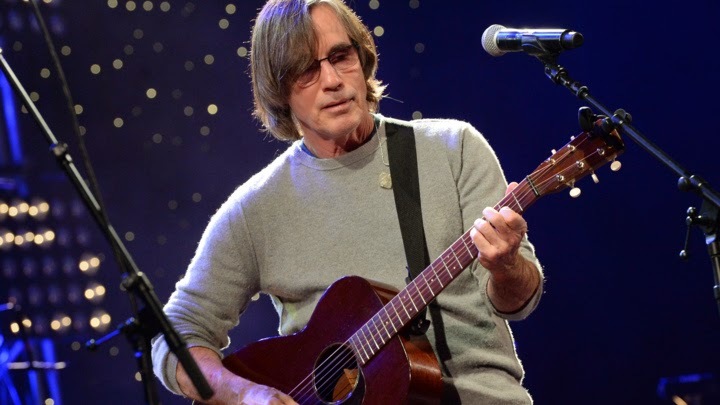 Jackson Browne was one of a clutch of superlative singer-songwriters I was following through the 1970s: Bob Dylan, Paul Simon, Gordon Lightfoot, Van Morrison, Leonard Cohen, Joni Mitchell, Neil Young, James Taylor, Ry Cooder, Randy Newman, Harry Nilsson, John Prine and Bruce Cockburn. Each had their special gifts; each presented a particular persona on stage; and each brought their own unique set of musical influences and political interests to the songs they were writing and performing. As time passed, it was interesting to see how their careers evolved, and fascinating to follow the development of their music. 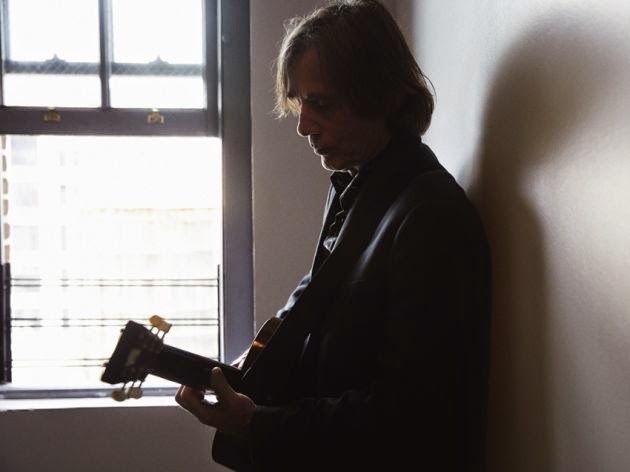 Jackson Browne - despite embodying the laid-back, hippy ethos of southern California - began to make his name in the New York City music-scene of the late sixties. When he first arrived in NYC in 1966 he became a member briefly of the Nitty Gritty Dirt Band. In 1967 he worked as an accompanist with Tim Buckley and made a major contribution to Marble Index - Nico's first solo album. He and Nico were romantically involved at the time. She recorded three of his songs for Marble Index; and he played guitar on five of its tracks. 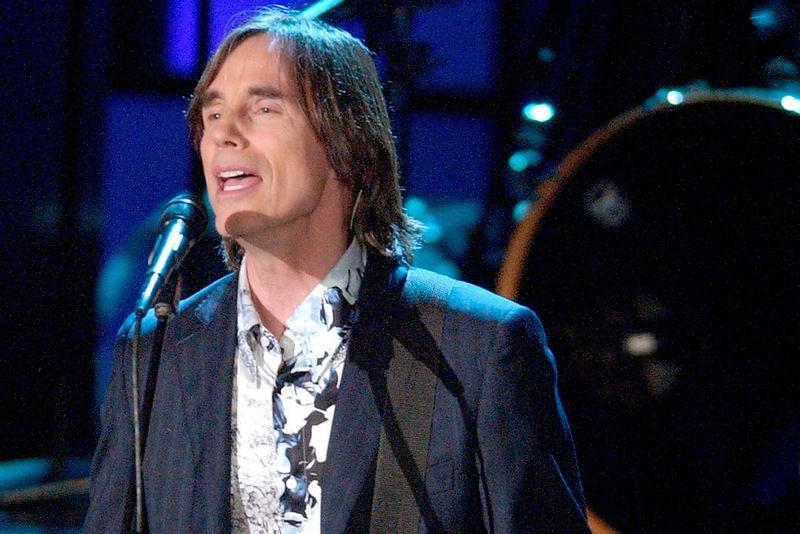 But it was as a songwriter, rather than a performer, that Jackson Browne first came to prominence. His songs were covered by the likes of Tom Rush, Bonnie Raitt, Steve Noonan, Joan Baez, The Byrds, and The Eagles. Browne eventually came under the wing of music-manager David Geffen in the late 60s. Geffen had already had some success managing Laura Nyro and Crosby, Stills and Nash. When he was having trouble getting Jackson a recording contract, Ahmet Ertegün - the founder of Atlantic Records - suggested he set up his own record label. Geffen decided to do just that. With his friend Elliot Roberts - a like-minded music manager, who would also work with many of southern California's top musicians - he created Asylum Records in 1971. Browne's debut album emerged soon afterwards, in January, 1972. Browne went on to release a string of excellent albums into the late-seventies - virtually one a year. But by the 80s he seemed to have lost his touch, and my interest in his work waned substantially. The releases were more sporadic by then - one every three years. And in the last two decades, he's only managed a new studio album every six years, or so. I started to pay attention again to his work after hearing I'm Alive (1993). That album was a unified set of songs dealing with the break-up of his nine-year relationship with actress and fellow environmental activist Darryl Hannah. It included the stand-out song "Sky Blue and Black". 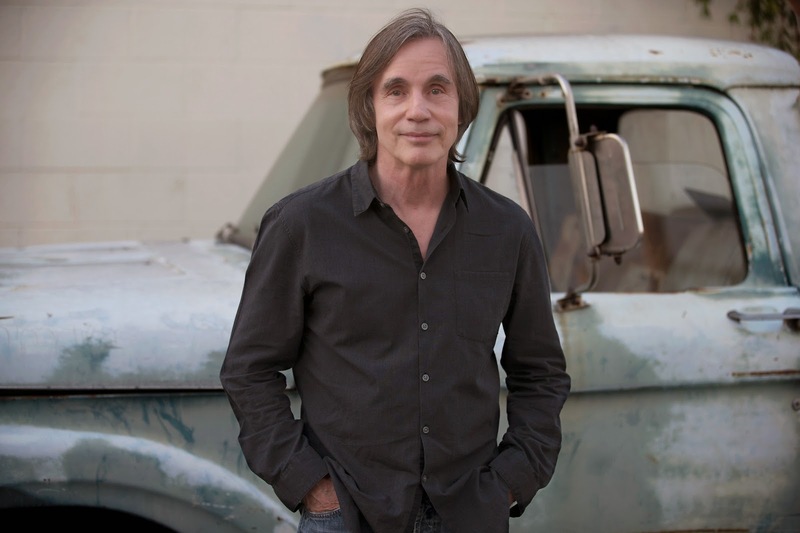 Jackson Browne's musical qualities aren't hard to fathom: he is an excellent songwriter; he creates memorable melodies; he delivers them with his distinctive baritone voice; and he accompanies himself well on both guitar and piano. But it's the lyrics of the songs that set him apart from other singer-songwriters of his ilk. The man really knows how to communicate. And he has always had something interesting to say - something that many listeners could make common cause with. In the early years, Browne wrote about things that touched the hearts of his youthful audience: the travails of romantic entanglement, the yearning for freedom, and the deep need to escape from a humdrum existence. He tapped into the hippy ethos of communal life. He wrote about utopian longings; and then, when those hopes seemed dashed, he countered with anxious ruminations about dystopian apocalypse. He liked to write epic treatments on these themes: "For Everyman" ('73), "Before The Deluge" ('74), and "The Pretender" ('76). His writing was sensitive, carefully crafted, and - on occasion - perhaps just a little bit too literate; in some ways, his strengths - paradoxically - can also become weaknesses. But there's no doubt that he regularly hit home-runs: "Fountain of Sorrow", for example; and "For a Dancer", both brilliant songs from Late For The Sky (1974). In the 1980s, Browne got deeply involved with environmental issues and political activism. And he worked on behalf of many different charities and causes. His albums began to include songs with overtly political sentiments (especially about what the U.S. government was up to down in Central America). This shift began with Lawyers in Love ('83) and continued with Lives in the Balance ('86) and World in Motion ('89). Unlike the romantic, utopian stuff - which was full of clever metaphor, and other poetic tropes - Browne's political material tended to be didactic and preachy, alienating some former fans because of its "narrower" perspective. But ever since then, he has continued to look for a way to balance both types of songs and both kinds of expression. 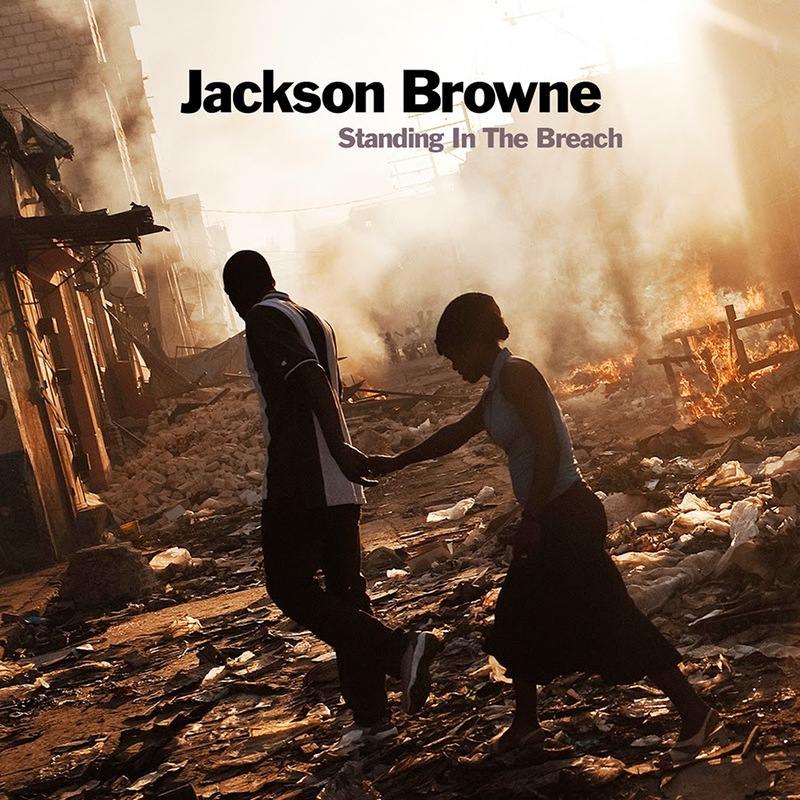 Standing in the Breach is Jackson Browne's 14th. studio album. It was released on October 7, 2014 - a six-year gap since Time the Conqueror (issued in September, 2008). This new one was co-produced by Paul Dieter and Browne. It has ten tracks and clocks in at 55:07. There are folk-rock, country and rockabilly sounds here, but everything is done in a retro-roots, guitar-rock sound that seems to be the thing these days - whether it's Bonnie Raitt, Ry Cooder, or Eric Burdon. The tracks usually have two or three lead guitar parts - featuring Val McCallum and Greg Leisz, who both played on the new Lucinda Williams album I reviewed recently. Benmont Tench, keyboard player for Tom Petty's band The Heartbreakers, adds some momentum to "If I Could be Anywhere". I'm seeing people changing in the strangest ways." I don't do that much talking these days". It would have to be now." I want to live in the world, I want to stand and be counted." There in the safety of our arms." It's telling, though, that the very best thing on this album is the simplest - three brief verses, describing in an indirect, but evocative, way a numbing sense of loss. It's the final track on the album, called "Here". Is it about the end of a relationship? Is it about the death of a loved one? We're not sure. But he gives us that intense feel for the moment that comes at the beginning of that loss. And all you will never know about her. It's decorated with a simple accompaniment: two guitars, a lap steel, bass and drums, and a lovely harmony vocal. This is Jackson at his best - understated, reflective, heart-breaking. Standing at the Breach is a good album. It's far from his best, but it's a fine collection of songs that are given all of Browne's inimitable touches: attractive melodies, distinctive singing, and upbeat country-tinged rock 'n' roll. It will satisfy both the casual listener and the long-standing fan. hey clive - thx for sharing this on jackson browne. i remember a year or so ago when you reviewed the new release of another artist i had given up on, van morrison, and his release Born to Sing: No Plan B. Based on your review, i waded back into his music and was indeed pleased. 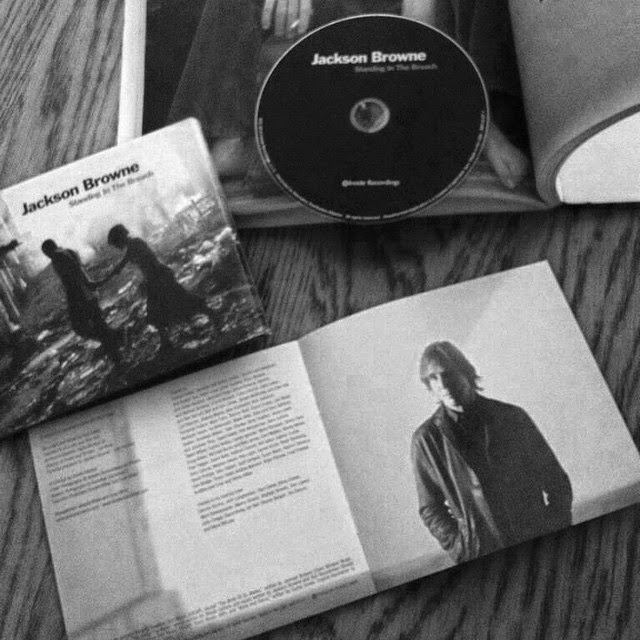 i still listen to jackson browne but i think nothing since the early 80's.i may just have to go out and get this. Who, I wonder, is next on your list? Thx again! Rob: Thanks so much for the response. I just added a video to this page. Check it out - Ry Cooder is playing on it. This is one of the better songs from the new album. If you want to hear the best of his post-80s stuff, get "I'm Alive". Cheers! Thanks for your feedback, Rob! 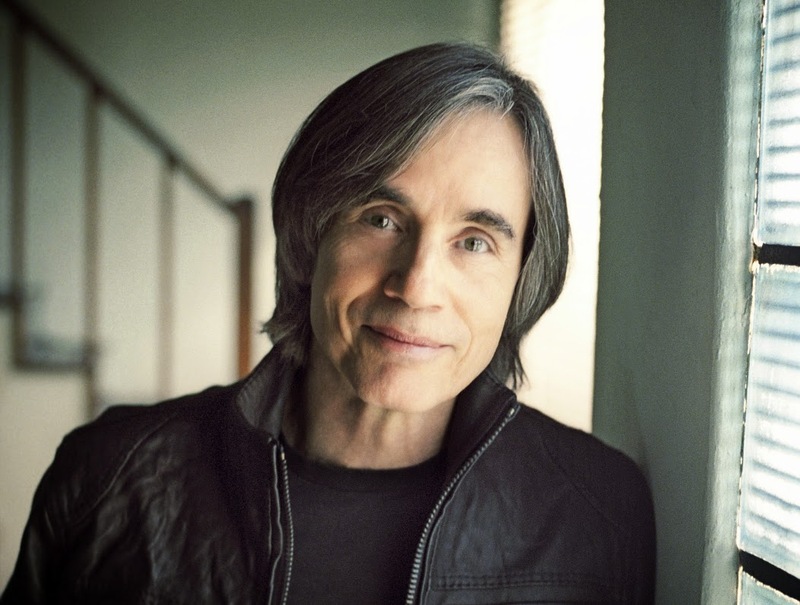 My goodness, Clive, I have to thank you for so many recommendations/introductions over the decades and right up there is Jackson Browne, specifically 'Saturate Before Using' which remains my favourite of his albums and which I still listen to regularly. I think it must have been 1973 when you brought it over on a UK visit and very kindly left it with me. I don't doubt that you replaced it back home and still have it in your vinyl collection - right?! Looking back on a number of the early albums I would say that sorrow and loss dominate - I still get a lump in the throat every time I hear 'My Opening Farewell' and it seems to me that as a writer/poet he succeeds so much more with his heart than his head. If I read your piece correctly then, like you, I lost interest in the 80's and, unlike you, haven't really revisited Browne since then. I've just been listening to bits and bobs of 'I'm Alive' as well as some of the tracks you've mentioned from 'Standing on the Breach' and I can't get overly excited. 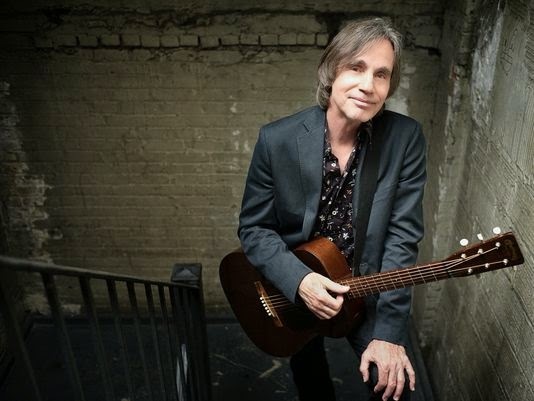 In my delving I came across one comment which I sort of get: "Jackson Browne is one of those artists who doesn't sound as if he ever made a 'debut' album because all of his recordings are so mature and of professional quality." I know what the person means and I think it is both a strength and a weakness. I'll always love his early years (when I listen I'm 21 again with long hair, flared jeans, joint in hand and not a wrinkle or an aching bone in sight!) but I'm not sure that Browne has really moved on and innovated in the way, for example, that the likes of Paul Simon and Bob Dylan have done. Still, yet another polished, intelligent review - don't stop! Thanks for your response, Michael. Yes, I still have that first JB album in my vinyl collection - and I have a CD version, too, of course. I agree with you completely that "sorrow and loss dominate" on those early albums and that he succeeds so much more with his heart than his head - nicely put!